Our first reaction to Auro is to feel a little bit sorry for it. 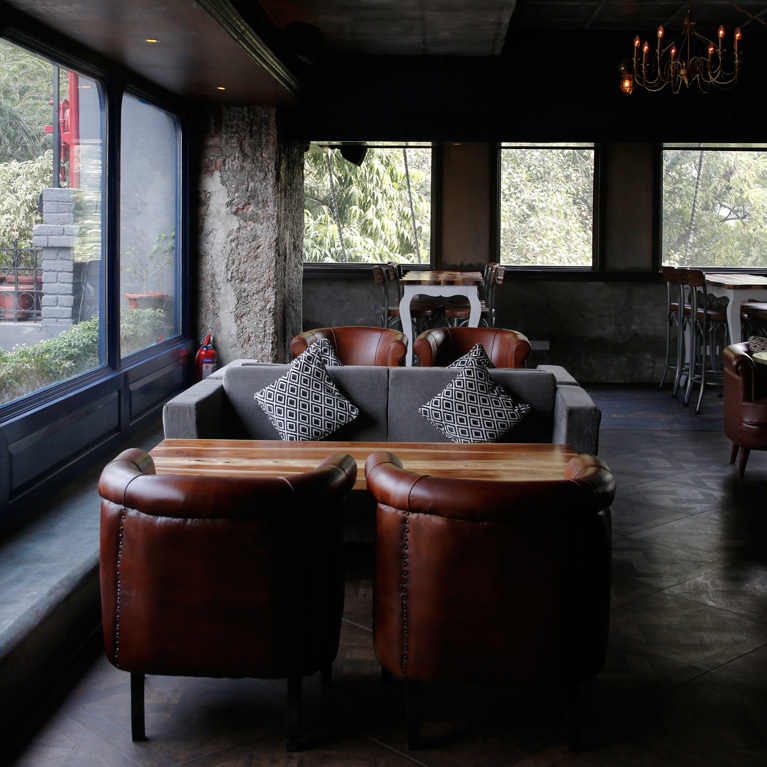 The restaurant goes all out to fill an important gap within Delhi's food scene—Pondicherry-style food—but the delay in receiving a bar license holds it back a little. Perhaps the place also feels shortchanged because it's located right next to two of the booziest places in town—Summer House Cafe and Bandstand. Moving on from the disappointment that the staff expressed at not having received a liquor license despite a long wait, we took in the massive, tasteful space. 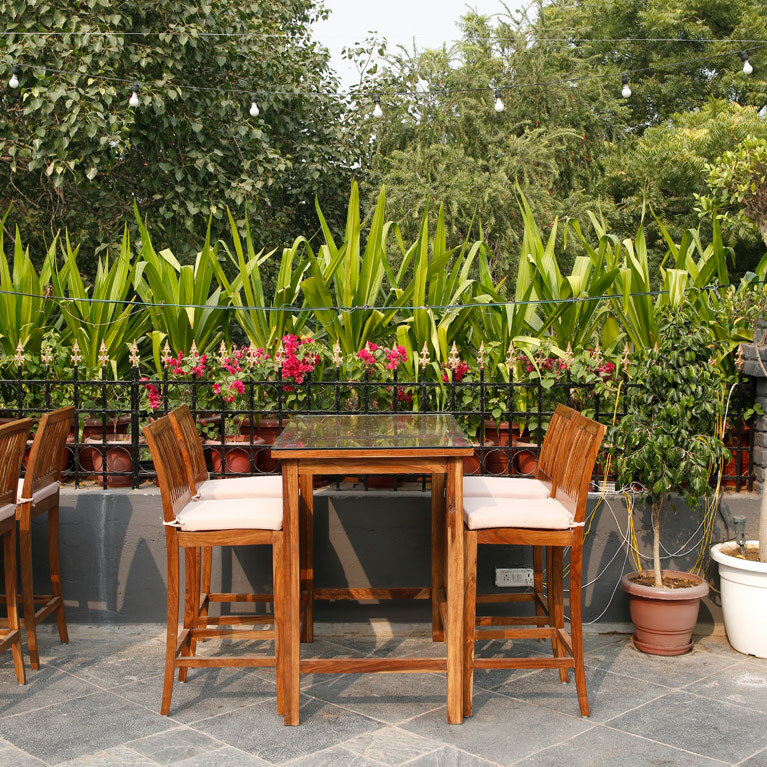 The terrace—with light wooden seating and artfully grown bougainvillea—is an ideal setting for both relaxed dinners and excitable brunches. We visited for lunch and decided to sit indoors: dingy at one end and sunlit at the other. At first glance, the menu is impressive because it's unusual. A yuzu lemonade grabbed our attention because not too many places in the city incorporate the Japanese fruit into their concoctions. It wasn't special in taste, but the presentation—basil leaves clipped to the edge of the glass with a wooden paperclip—might please Instagram addicts. An appetiser of gunpowder chicken popcorn was as addictive as it was innovative. Chicken pieces coated in gunpowder batter and fried were served with a gunpowder-and-ghee dip. The kitchen deserves serious credit for taking condiments usually reserved for vegetarian food like idli or rice, and creating a winning match with them and meat. A salmon ceviche, however, didn't similarly bowl us over. Although the lime, cilantro and onion dressing was spot on, the salmon left a bitter aftertaste. The "Auroville prawn star" lived up to its self-assured name: the prawns had been tossed with butter, garlic, bay leaves and fried onion, and served on a bed of nimbu achaar. It reminded us of meals in Pondicherry in its own original way. A "fruits de mer Pondicherry curry" kept the theme going. Prawns and boneless chunks of fish were dunked in a hot, creamy coconut gravy. It was very well put-together and with rice, became the reason for our post-lunch slump. We ended with another favourite from along the coastline (albeit on the opposite side of the country): bebinca. The soft, layered, classic Goan dessert had been done complete justice to and the homemade coconut ice cream that came with it could easily rival Natural's. Auro evidently makes such an effort with its food that the lack of alcohol doesn't hit until the weather cools and the string of lightbulbs along the terrace light up. We're likely to visit again irrespective of when their license does finally come in, especially when Pondicherry feels too far away.